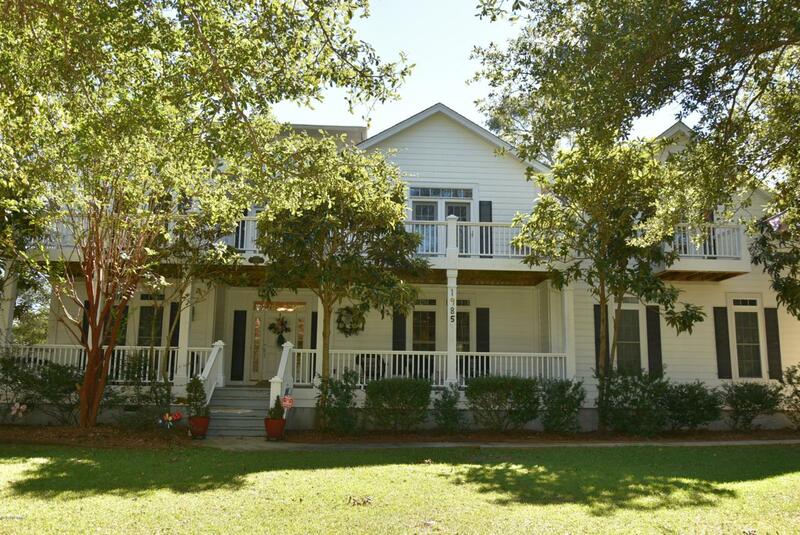 This beautiful, well maintained home is nestled among majestic oaks and near enough to a community water feature to hear the fountain splashes while you sit outside on one of the many porches and while away your time! Did I say, 'Peaceful'? Multiple outdoor spaces, covered, uncovered, screened...Indoors, the home is welcoming with a great room, large open kitchen and dining space with an office tucked away allowing work space, when needed. The home features a completely separated independent living area, with a full kitchen, for a member of the family or guests who prefer the separated space. All together there are 4 bedrooms, 4 full and 2 half baths. The community welcomes you at the gate and offers full amenities with ownership, ICW boat launch, pool, walking trails, and more!